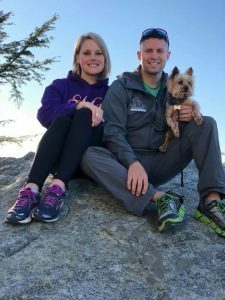 Pets at Peace LLC was founded in 2015 by The Hall and Stone Families. Both families work together to make the process of losing your pet as worry-free as possible. All pets are treated with respect and dignity from the moment they are in our care to the time of return. As painful of a time as it has been losing my best friend of 16 years on April 4th, I’m so pleased with the beautiful urn box I received back today. Love the personal touch of his paw print on the front. I will cherish it forever. Just wanted to say thank you for your kindness and caring and professional service that you provided for me and my family. It’s so hard losing your fur babies that have been a part of your family for 15 years. On February 23rd we had to say goodbye to our best friend of 12 yrs. Zeus was the best dog anyone could have asked for. He was always there for us when we needed him. He loved to snuggle up to us when we were sick or sad. He just made everything so much better. Pets at peace made it so I can still talk to him like a crazy person and if we decided to move we could take him with us. I went and picked Zeus up today and immediately became overwhelmed with emotions. The box is gorgeous and the detail to his name and paw print are amazing. Thank you so much Pets at Peace. For not only taking such good care of our baby but giving us a little comfort during this extremely emotional time. Thank you for being so thoughtful with the forget-me-not seeds for us to plant and for the lovely card. Thank you Michael Stone for personally taking care of Zeus. The love and comfort y’all bring to the families that come to you is amazing. I am definitely recommending you to everyone I know and when the time comes for my others to cross the rainbow bridge I will make sure y’all are the ones that handle the cremation. Thank you again for all that you have done for us. It truly means a lot. so compassionate... they took such amazing care of our little Frankie and the urn box they engraved was absolutely beautiful . Mercedeze was diagnosed with Congestive Heart Failure in March 2018. Despite hiring cardiologist, repetitive doctor visits and tons of medicine, we knew it was only a matter of time. She was 13 years old and on Sep 3, 2018 at 7:23 am, I laid with my baby girl as she took her last breath. I put my hand on her chest to feel that final beat and I whispered in her ear that it was ok to go home, that I loved her. As much as you think you plan and prepare, you are never ready. After trying to find a burial place on LABOR day, several calls later...we found Tabitha and Daniel. Her calming voice from the beginning was a God send. She came to out house and picked her up and sat down with me to make sure every final detail was perfect. As she was writing she was crying with me too. I had never met her before this day, and yet she shared in my pain that day. She made sure the urn was perfect, the memorial plate was a little small for what I had wanted on it so she contacted someone she knew could make it work. She called me to make sure all the details she and I discussed that day were exactly like I would have wanted them to be. The day that her urn and ashes were ready, she did even more then too than anyone could have expected, she met me while we were getting massive rains from Hurricane Florence!! I literally can't say enough positive things about her and this company. God sends us angels when we need them most. From the day before Mercedeze passing, to having spent an entire day before holding her sweet fraile body in my arms to having my prayer answered that she wouldn't pass away alone...then to meeting Tabitha. Gods plan is always perfect. Always on time and always precious. Thank you for everything you did. For helping my heart be at peace and for honoring my wishes and making everything perfect in my sweet Mercedeze honor. On the morning of August 15th I received a call no pet owner wants to get. Our loving and loyal Gabana left us to go play in Heaven. We are thankful for the care and compassion from the folks at Pets at Peace. I have lost a few dogs over the years but having Gabana at home with us again makes it a little easier on the heart. As good as this kind of thing can be. Providers are friendly, thoughtful and sensitive to this difficult time. Very timely, courteous and sincere. Thank you for being available, understanding and attentive. On June 19, 2018, just last week, we said goodbye to the love of our life, Luke. Luke was 14 yr 7 months and one day, a yellow labrador, with the best smile you ever saw. From the first phone call I made to Pets at Peace, speaking with Tabitha, my heart felt at peace. Tabitha has gone above and beyond with her compassion, sympathy, patience and true concern. Ron and Bailey came to pick up Luke, gave their sympathies, we were able to say goodbye to Luke and see him leave our house in a respectful manner -- thank you. The urn with our sentiment message was beautiful and when Tabitha returned Luke to his home, she gave us her love, knowing exactly how we were feeling. We will recommend Pets at Peace to EVERYONE we meet and thank you from the bottom of our hearts for taking care of our precious Luke. God bless you all. They were super nice and helpful when my baby passed. Would highly recommend them. You can't go wrong with Pet's at Peace LLC. Thanks for taking care of our babies for us Tabitha Solomon Hall and Daniel Hall!! Thank you for your compassion and attention to detail while you were talking care of our precious Lexie. It was great to have her back so quickly too. There’s a reason why there are only 5 star reviews for this business. We lost our dog last Wednesday and if you’re reading these reviews, you probably are going through or have felt similar pain. I can not recommend this company enough. Daniel came to our house and picked him up as soon as he could. He was so empathetic and kind. He explained the process to us and told us Raksha would be treated with respect. We were given the option to wait and think about what we would like engraved on his urn and while we did, they were patient. His urn is professionally done and so beautiful. They gave us a sympathy card and a few other things as well. I will say it again, I can not recommend them enough. Daniel and Tabitha, thank you for making a very painful time manageable. Losing our Kacie was extremely hard. My husband Kevin had always buried our other pets in the backyard and had never considered cremation. Two of his friends started this pet crematory a while back and he asked Daniel Hall about it. We decided to let them handle Kacie and we were so impressed with the compassion and professionalism they show. The small touches they add to your package when you get your pets remains back really make you feel better....especially the forget-me-not seed packet. Thanks to you all for taking care of Kacie! We recommend anyone that has a pet to pass away to use your services. My big boy Chester passed away sometime early Sunday morning. I called Pets at Peace not knowing what to do. Tabitha offered to meet me and keep him until he could be cremated. Best customer service and most caring person. THANK YOU TABITHA!!! A very respectful, family-owned business that provides excellent care during a very difficult time. On January 10, 2018, my little boy Baxter left this earth to cross over the rainbow bridge and to be free of his pain forever. At almost 15 years old it was very difficult to say goodbye. My veterinarian called on Friday the 19th to say Baxter was ready to be picked up. I couldn't bring myself to pick him up and I asked my husband to do so. I told him to put him away somewhere until I was ready. That only lasted a day as I felt I needed to have him close to me. When I looked in the bag and saw the wooden box he was in I immediately felt at peace. I don't know if you realize the magnitude of this service you have provided for me. Every single touch was more than I ever expected. The beautiful engraved wood box to the seeds to plant in his memory-were as if you knew me and my family personally. I thank you for including his tag in his ashes too. This was something I never even thought about. Thank you so very much and if anyone has any doubts about the process I encourage you to use Pets at Peace. As tough as it is right now I can unequivocally recommend you and the service your provide. Daniel is a native of Western North Carolina and has a Bachelors Degree in Criminal Justice from Appalachian State University. Tabitha is a native of Rowan County and has a Bachelors Degree in Communication Arts from Catawba College. Their free time is devoted to their three small boys and a spoiled rotten Yorkshire Terrier Oscar Hank Hall. 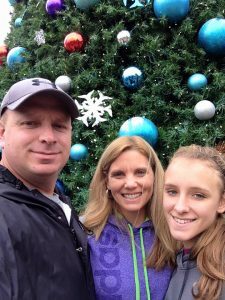 Michael and Cindy Stone are Yadkin County natives and spend their free time in the outdoors or at the soccer fields across the south watching their daughter chase her dreams!